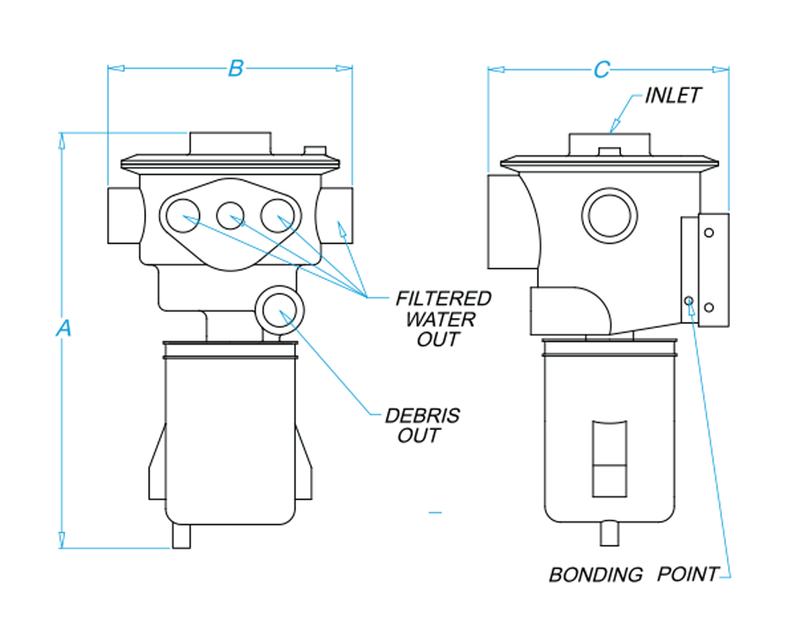 As raw water strainers do their job, filter baskets become clogged with debris and flow to the connected device is reduced, resulting in the need for system shut-down for cleaning and maintenance. HYDROMATICTM strainers eliminate untimely shut-downs by conducting periodic self-cleaning cycles (the user selects the interval) with its powerful internal macerator. Debris is pumped overboard without shutting down the connected device. 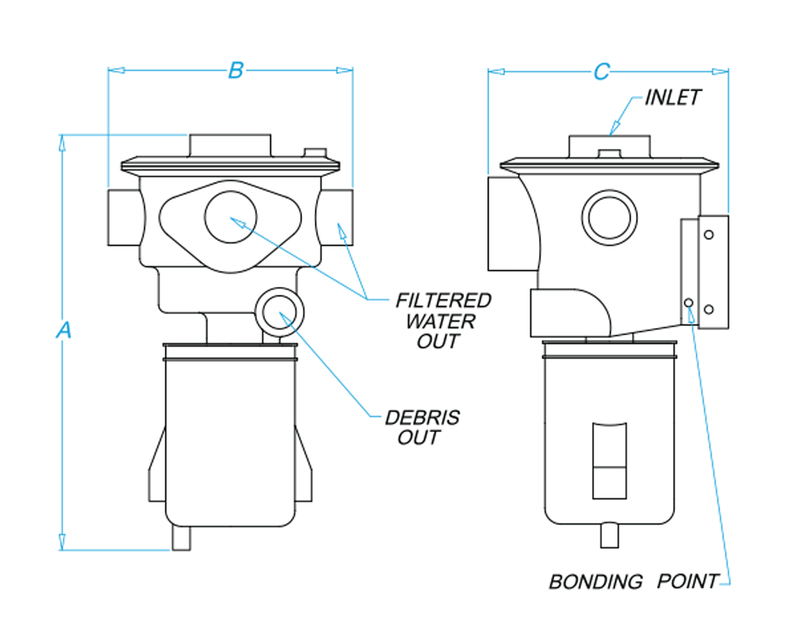 970 series strainers accommodate multiple consumers with a choice of inlet sizes (1-1/2" or 2") and up to five 1/2" and 3/4" outlets. 30-second cleaning cycle is automatically performed at user-selected intervals. 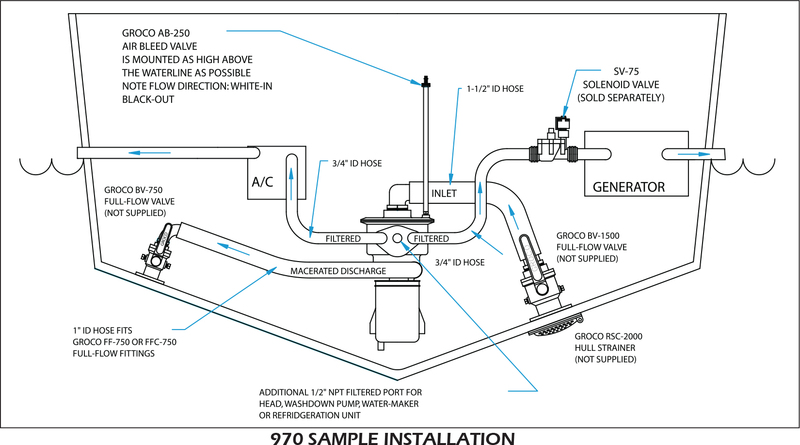 Optional interface with SSA system ( initiates cleaning cycle when flow is reduced, independent of the pre-set cleaning interval. The "Purge" option over-rides the selected interval and performs a one-time cleaning cycle. Powerful macerator grinds debris and discharges overboard below the waterline. "Ignition Protected" motors for DC models. 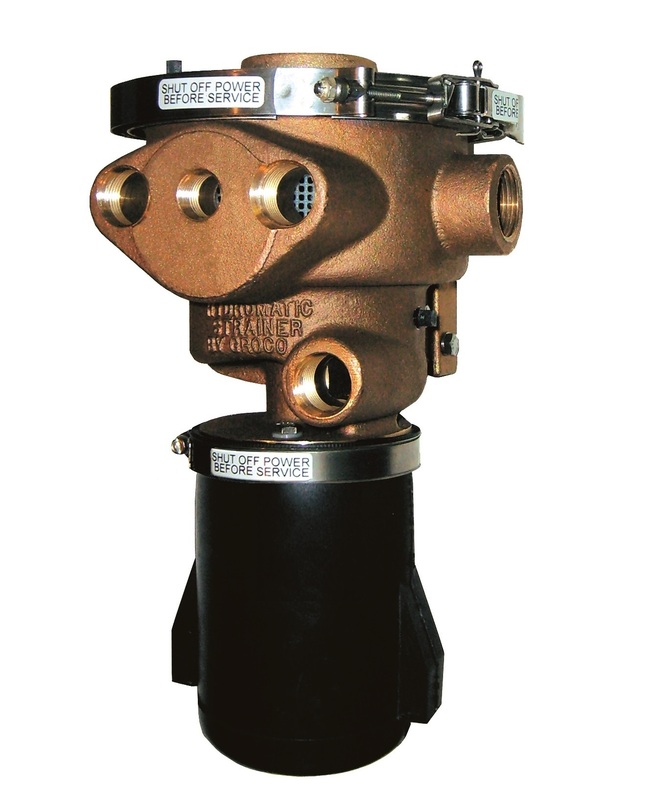 Provides filtered water to multiple devices, and has a 1-1/2" NPT inlet port with multiple 1/2", 3/4" and 1" ports for connecting devices. Debris is pumped out through a 3/4" NPT port. Provides filtered water to a single 1-1/2" or 2" device. Debris is pumped out through a 3/4" NPT port.